A trip to the USTA Billie Jean King National Tennis Center's magnificent Arthur Ashe Stadium promises to be a tennis fan's experience of a lifetime. Take a quick, exciting weekend tennis trip to New York City or immerse yourself in a week of tournament play that will thrill even the heartiest, most intense tennis fan! Tennis knows no borders. We play on clay courts in Madrid and grass in the middle of Mumbai. Our passion is taking you there, wherever this global game is being played. Fly the official airline of the US Open to Dubai and onward to over 120 destinations worldwide. Enjoy gourmet meals, up to 1,300 channels of entertainment at every seat and warm, welcoming service on every flight. 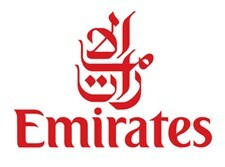 Learn more at emirates.com/usa. Fly Emirates. Hello Tomorrow. See how Westin® hotels serve you better. At Westin, we ensure that guests feel well rested, well nourished and well cared for through a range of signature programs including Heavenly Bed®, Heavenly Bath® SuperFoodsRx® and WestinWorkout®.